Sage Singer, who befriends an old man who's particularly beloved in her community. Josef Weber is everyone favorite retired teacher and Little League coach and they strike up a friendship at the bakery where Sage works. One day he asks Sage for a favor: to kill him. Shocked, Sage refuses…and then he confesses his darkest secret - he deserves to die, because he was a Nazi SS guard. Complicating the matter? Sage's grandmother is a Holocaust survivor. What do you do when evil lives next door? Can someone who's committed a truly heinous act ever atone for it with subsequent good behavior? Should you offer forgiveness to someone if you aren't the party who was wronged? And most of all - if Sage even considers his request - is it murder, or justice? 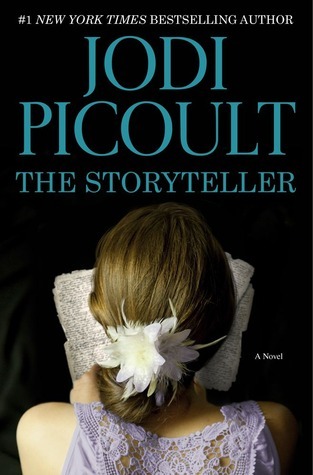 I have always, and probably will always have a weak spot for Mrs. Picoult. Although her stories tend to follow a tried and true layout, I always seem to end up being severely intrigued by and immersed in the story unfolding between and among each character-until all flows beautifully into one coherent whole. It's a predictable method, but one that I've come to know, and respect from this author. This particular tale sounds a little more thriller/mystery than I'm use to seeing from Jodi-therefore I'm anticipating it's release even MORE. Maybe she threw in some new concepts. Maybe it will be her best.book.yet. Here's hoping, because I wasn't too crazy about Lone Wolf. Are any of YOU Jodi Picoult fans? If so, what's your fav book by her? Share your link and comments below! Nice! Still have to read the one and only books I have by her (and her daughter)! This one is on my list too! Great pick. If you get a chance, visit my WoW.